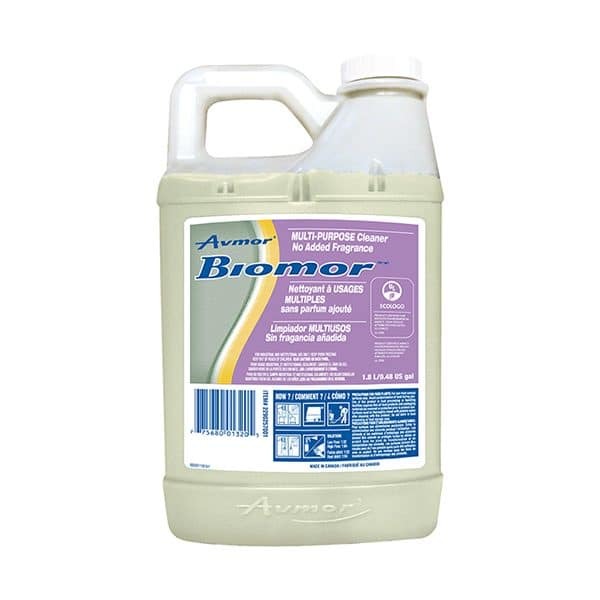 BIOMOR MULTI-PURPOSE CLEANER NO ADDED FRAGRANCE is the next generation of general purpose cleaners. This microbial based formulation contains a proprietary blend containing bacterial spores designed to breakdown and digest organic matter. It has enzymatic activity that provides outstanding breakdown of starch, carbohydrates, fats, oils and grease. This product will achieve superior cleaning and odour control. Ideal for institutional, industrial and foodservice use. This product is also ideal for garbage bins, compactors, refuse areas and bathrooms including floors, urinals, walls and toilet bowls. 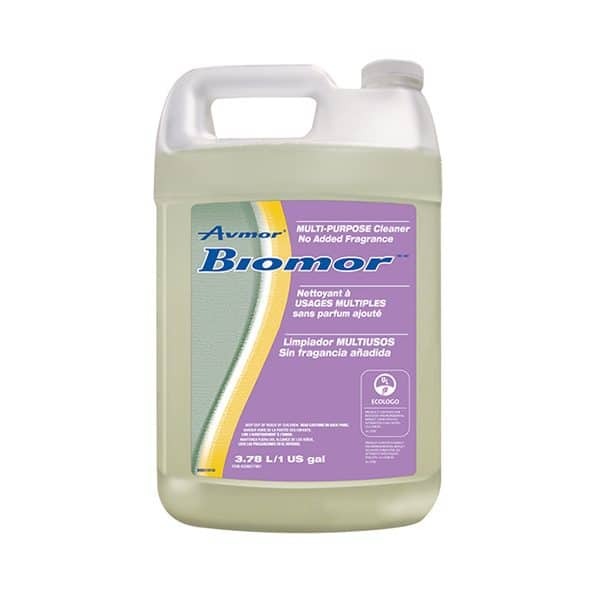 BIOMOR MULTI-PURPOSE CLEANER NO ADDED FRAGRANCE provides an effective and environmentally preferable solution to routine cleaning. Dilute 24 to 32 ml/l of water (3 to 4 oz/US gal). Spray directly onto the surface. Leave wet for about 5 minutes then wipe clean. Repeat as needed for tough applications. Dilute 13 ml/l of water (1.7 oz/ US gal). Spray directly onto the surface. Leave wet for about 5 minutes then wipe clean. Repeat as needed for tough applications.